Although executive functioning (EF) difficulties are well documented among children and adolescents with autism spectrum disorder (ASD), little is known about real-world measures of EF among adults with ASD. 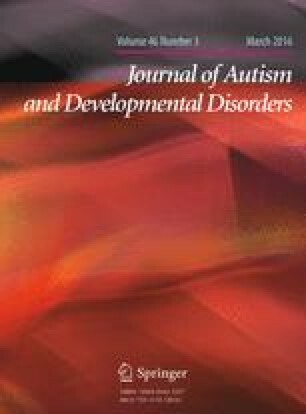 Therefore, this study examined parent-reported real-world EF problems among 35 adults with ASD without intellectual disability and their correlations with adaptive functioning and co-morbid anxiety and depression symptomatology. A variable EF profile was found with prominent deficits occurring in flexibility and metacognition. Flexibility problems were associated with anxiety-related symptoms while metacognition difficulties were associated with depression symptoms and impaired adaptive functioning (though the metacognition-adaptive functioning relationship was moderated by ADHD symptoms). These persistent EF problems are predictors of broader functioning and therefore remain an important treatment target among adults with ASD. This work was supported by the Intramural Research Program at NIMH, NIH under Grant Number 1-ZIA-MH002920. CEP was supported by a T32 Grant HD046388-01A2. Ethics approval for this study was granted by the NIH Combined Neuroscience Institutional Review Board under Protocol Number 10-M-0027. We would like to express our gratitude to the individuals and families who volunteered their time to contribute to this research. Dr. Wallace designed the study, analyzed the data, wrote the initial draft of the paper, and participated in revising the manuscript and addressing the reviewers’ comments. Drs. Kenworthy, Pugliese, and Martin as well as Ms. Brodsky assisted with manuscript development. Drs. Kenworthy, Pugliese, and Martin also participated in revising the manuscript and addressing the reviewers’ comments. Mr. Popal and Ms. White collected data, built the database, and reviewed the manuscript. Lai, M. C., Lombardo, M. V., Ruigrok, A. N., Chakrabarti, B., Wheelwright, S. J., Auyeung, B., et al. (2012). Cognition in males and females with autism: Similarities and differences. PLoS One, 7. doi: 10.1371/journal.pone.0047198.